Is Theft on the Rise: How Much Do You Know About the Kind of Theft That Comes Before the NSW District Courts? 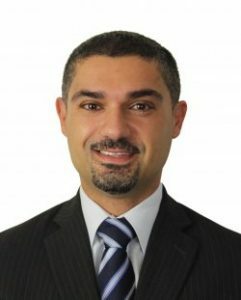 Posted June 12, 2014 by Ugur Nedim & filed under Criminal Law. If you think of theft you might think of home invasions, bag snatchers or perhaps dramatic hold-ups. In fact both robbery and theft have been declining dramatically from what they were just fourteen years ago at the turn of the century. It is crimes like shoplifting and fraud that are on the rise. So, you may be asking, what exactly is the difference between theft, robbery and burglary? Fraud is a kind of sub-category – it involves a person obtains property from another, gains a financial advantage or causes a financial disadvantage using deception. The penalties for fraud can be very severe – up to ten years in prison or a large fine. Robbery is also a kind of theft, but of a more serious kind. It is crime under section 94 of the NSW Crimes Act. a combination of larceny and assault. It requires a theft to have taken place without consent of the victim, using either force or the threat of actual violence. Trials for robbery will be held in a NSW District Court. Burglary refers to a break and enter offence. NSW holds the highest full-time imprisonment rates for these crimes across Australia, and also in comparison with other countries like New Zealand, the United Kingdom and the United States. It is a very serious crime and is punished harshly, partially as a deterrent for future offenders. According to the Bureau of Criminal Statistics and Research, robbery without a weapon is down by 15.7% compared to the last two years, while break and enter instances to dwellings have dropped by over 13%. During the same time frame, shoplifting has risen, as has fraud – like credit card or email scams. Fraud is one of the fastest expanding areas of criminal law in NSW, while shoplifting can strip retailers of up to 40% of shop losses reported each year. One study into the perceptions of crimes in NSW found that none of us could not correctly guess the crime rates – whether they were on the rise, or dropping and what the real areas of concern were. For example, older people, incorrectly, were much more likely than younger people to believe that break and enter offences were on the rise when in fact they were not. Shoplifting was the only one that the majority of NSW residents who participated in the study consistently identified correctly as on the rise. This is concerning because if crimes are misidentified as being large risks there is a chance that money will be channelled into places where it is not needed but public perception believes it is, while other areas desperate for funds will suffer. Charges relating to theft, robbery and burglary are heard in courts all around the State.  For a full list of NSW District Courts and Local Courts, click here. If you have been charged with any crime relating to theft, it is best to seek legal advice. Depending on the nature of your individual offence, the penalties could be severe and you will need a lawyer who is experienced and prepared to fight to get your charges dropped, or defend you in court if the case goes to trial.